The wet weather in March is so notorious among cariocas that it inspired one of the city’s best-known songs, ‘Águas de Março’ (Waters of March) composed by Tom Jobim and sung by Elis Regina. 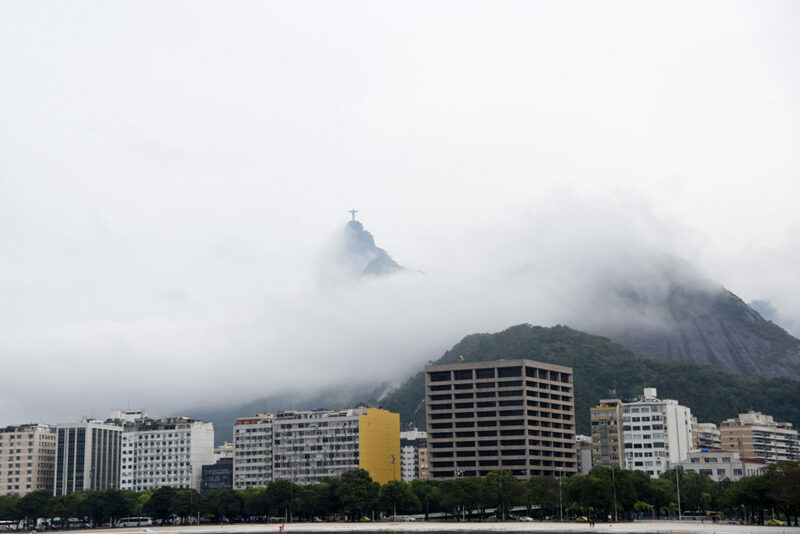 RIO DE JANEIRO, BRAZIL – When people usually think of Rio de Janeiro, they often picture the gorgeous sun-drenched sands and blue skies that make it onto the postcards and promotional material for the city, but the truth is it does rain here; and when it rains, it pours. So here are a couple of excellent ways to spend a rainy day in Rio. It isn’t always sunshine and blue skies in the Cidade Maravilhosa, though there is still plenty to do undercover, photo courtesy of Alexandre Macieira/Riotur. “There are some great museums in the city center, and many of them are free on a Tuesday, which helps if the rain is polite enough to fall on a Tuesday.” comments Lui Boniface, English teacher. An often under-explored part of the city’s cultural life, Rio has many excellent museums in both ‘Zona Sul’ (South Zone) and ‘Zona Norte’ (North Zone) which often provide an inexpensive, if not free, way to spend a rainy afternoon. The Centro Cultural Banco do Brasil is currently hosting two excellent exhibitions, ‘DreamWorks Animation,’ all about the popular animated producers responsible for Toy Story and Shrek, and ‘Museu Nacional Vive,’ which is the first exhibition of pieces rescued from the devastating fire at the city’s ‘Museu Nacional’ (National Museum) last year. “On a rainy day in Rio, I suggest you learn everything about the history of Rio de Janeiro by visiting the ‘Museu Histórico Nacional’ (National History Museum) located in the center of the city.” suggests Tavi Noren of Rio Love Story. The city also possesses a wealth of cafés in which to while away a rainy day. Coffee-lovers could seek out the best work-friendly cafés and spend a few hours catching up on some forgotten emails, or go hunting for the best cup of coffee in Rio de Janeiro. Popular choices include the Gringo Cafe that serves an all-day American breakfast, or the hidden Café Secreto in Largo do Machado. CADEG offers an excellent alternative day out for the budding gourmand, photo courtesy of Alexandre Macieira/Riotur. Another potential way to avoid the showers is to dash into one of Rio’s excellent cinemas. “Not many people know this, but Rio has an amazing array of cinemas showing a wide selection of independent, international and English-language cinema for very cheap, sometimes even for free.” comments Talita Soares, Library Science student. Among some of the best places to catch an interesting movie without breaking the bank are the Centro Cultural Banco do Brasil, which often shows retrospectives of internationally-renowned directors; Rio’s MAM ‘Museu de Arte Moderna do Rio de Janeiro’ (Rio de Janeiro Museum of Modern Art); and Cine Jóia in Copacabana. Finally, there are the gargantuan shopping malls of Barra da Tijuca, where someone could easily spend a rainy week, let alone a rainy day. With places like BarraShopping and Shopping Village Mall containing everything from games arcades to laser tag to ten-pin bowling, this is a perfect way to entertain the whole family during a drizzly day. 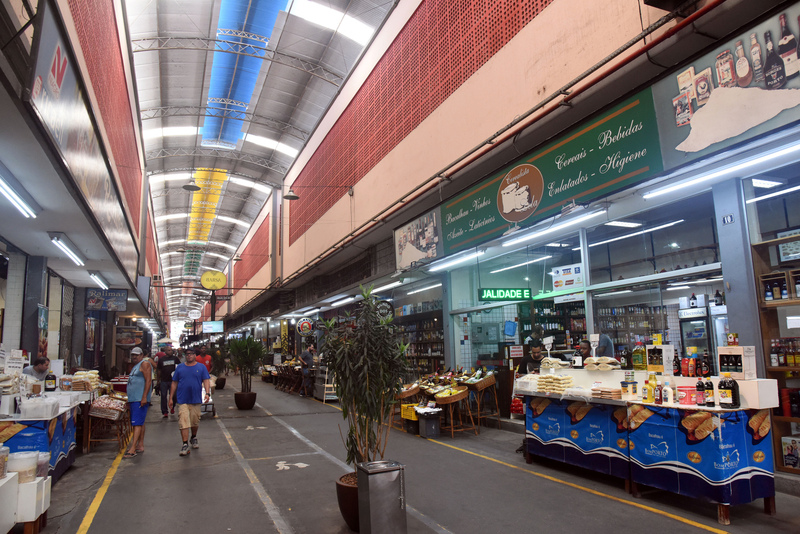 For a slightly less corporate experience, Rio’s CADEG food market in Zona Norte is a sprawling indoor space filled with some of the best delicatessens and restaurants in the city. While it isn’t the easiest place to get to, once there, visitors can easily spend a couple of hours exploring its charms, keeping undercover and dry at the same time.